From small to large, Regia Anglorum have a full calendar of events year after year. 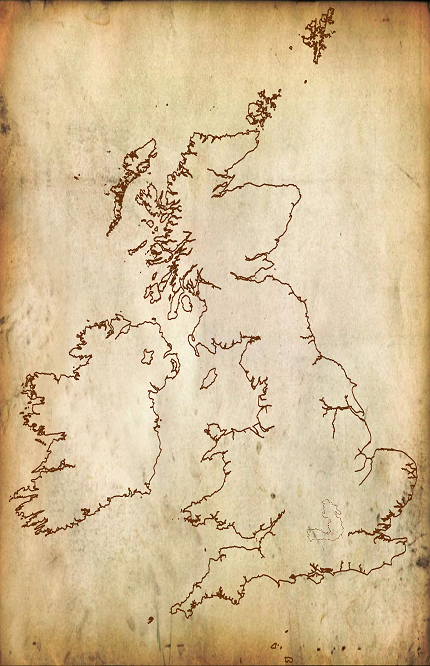 With groups the length and breadth of the United Kingdom, there is bound to be an event near you, where you can travel back across 1000 years of history. Below is our calendar of events for this year, and any future ones we have confirmed. If you want to see where we have had shows over the years, visit our past events page. You can add any event to your own diary by the menu in the top corner, most diary formats are supported. Unfortunately, we can't yet link in with paper diaries, but the calendar view might be more compatible. Sailing, fighting and crafting weekend. Lots to do on the water and on shore. Filming event at Wychurst with a feast. 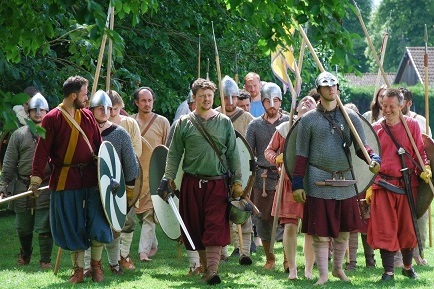 Volunteers sought to prepare feast and portray Vikings and Saxons. If interested contact Katya. Experienced crew only. This is an intensive training event for upcoming skippers and mates. Contact Maritime Officer if interested. Regia are joining the Shire of Caer Caledon for this annual show. This year on the May Day bank holiday. Hiberno-Norse King of Jorvik Olaf Cuaran has been defeated trying to retake Leicester. He and his forces are in retreat across English-occupied Danelaw. The second annual training event at Wychurst, this time we will have access to the scout hall. LHE only event. Set when King Alfred the Great met Asser, the Welsh monk who would become his biographer. The meeting took place on the estate that neighbours the museum. Regia will be portraying the lower ranks on the baronial side. There will also be a reenactment of the Battle of Lewes of the previous year. This is a very late dateline and kit must be appropriate. Our usual Angevin-era kit is acceptable for soldiers, although there are some differences – refer to the kit guide especially regarding swords. Note: this year’s craft week starts on a Sunday. Set during a standoff between King Alfred and two newly arrived Viking armies, just arrived from the continent in over 300 ships.